We are ready to help. Call us now! By utilizing Crimson Tech for all of your IT support, you can improve your efficiency, eliminate duplicate efforts, plan ahead for IT asset purchases, and maximize your uptime. You will always know who to call when you have a problem needing immediate attention. In short, your technology will work better, and your business will run smoother when you trust Crimson Tech to support you. We understand how difficult it is to find a reliable firm that has the expertise and sense of urgency required to support your technology needs. We don’t waste time or money on pool solutions, or “break-fixes”. Crimson Tech is philosophically different from the traditional, reactive IT providers as we always cater our services to meet specific needs. Crimson Tech is your advocate and involved IT partner to ensure technology is implemented effectively and strategically with business goals in mind. 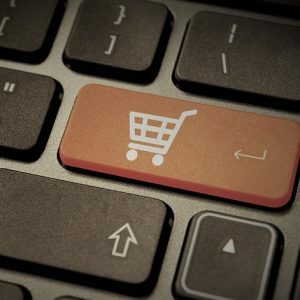 We are not geeks; we are business professionals that understand your unique technology needs and will strive to exceed them in every way possible. Through proactive IT management we can spot pre-failure indicators and preventative maintenance opportunities that will save you money and minimize downtime. 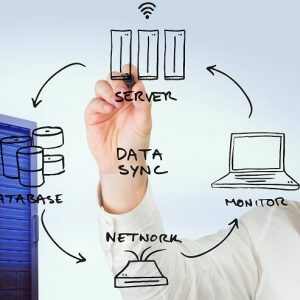 Our solution ensures complete visibility and access so that we are the first to know about bandwidth clogs, server and device failures, connectivity issues, and we are able to perform routine network maintenance. Our software offers enterprise-class server, application, and network management to businesses of all sizes at an affordable price. Our managed services resolve the biggest pain for our customers: the traffic and bandwidth challenges on the network. Our powerful solution includes traffic analysis on any device, application, virtual infrastructure and VoIP monitoring. With our solution, you’ll spend less time worrying about your employee’s IT issues and more time on what means the most to any business, your profits. 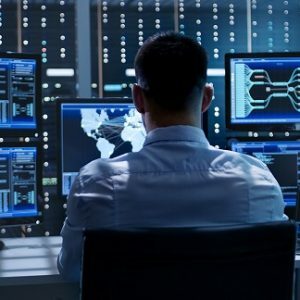 When it comes to IT solutions, prevention is key. Disaster recovery planning is one of the most critical needs that are commonly overlooked by businesses. Statistical data shows that companies which have a major loss of business data, 43% never reopen and 29% close within two years. We understand maximum accessibility to IT systems is critical to the smooth operation of your company. We offer diverse features, bare metal recovery and fast backup and recovery times for entire systems, applications and files. Through our partnerships we are able to provide backup and disaster recovery solutions that are affordable, reliable, and scale with your needs. Basically, you get enterprise-level features and support without the complexity and at a price you can afford. We have over 25 years of combined knowledge in hardware repair. We pride ourselves in same day service; if you have a hardware failure, call us and we will be there to address your needs that day. 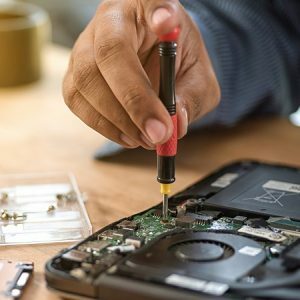 When you require expert hardware repair and support but want to avoid the manufacturer’s inevitable customer service and logistics hassles, Crimson Tech is your hassle-free alternative. We offer complete data recovery service specializing in recovering data from Desktop Drives, Laptop Drives, External Drives, Servers, RAID Systems, Network Attached Storage Devices (NAS), Storage Area Network Devices (SAN), Flash Drives, and Camera Media. 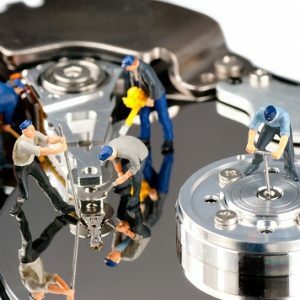 Our partner is a former hard drive repair facility that has offered data recovery services for over 26 years, making them uniquely qualified to offer recovery services for data losses caused by power surges & outages, static electricity, lightning strikes, fires, floods, other natural disasters, sabotage, viruses, equipment malfunctions, accidents, & user error (deleted files, formatted / f-disked drives). When your hard drive needs recovery we have your solution! Technology advancements happen at a rapid pace but you don’t have to worry about keeping up with what’s new, that’s our job. We constantly research new solutions that could benefit our clients. If your systems have become dated we will gladly to come and assess your needs and recommend a solution. Crimson Tech was founded to provide practical, honest IT support that helps clients get the most out of their technology. We are a one-stop resource for all of your IT needs. By providing complete coverage, we can make sure that all of your IT assets are working together in perfect harmony. We work hard to always fulfill our client’s needs. If we say we are going to do something, we do it. We understand that technology is a tool to forward your business. We will never recommend services or technologies that you do not need, and we will always explain our recommendations in relation to improved business process and increased profit. We are proud to be an honest, hard-working business that will treat you fairly. We treat our clients as partners and we value each relationship. Ready to get started? Great! Drop us a line and we’ll arrange for your first free consultation. We’re excited for what our future holds. Marty started with the company in 2008. Shortly thereafter he took on a leadership position alongside the founder of the company. He is now the fearless leader of Crimson Tech and provides his knowledge and expertise to forge the way for the future of his clients and the company alike. In his past life he spent his time programming robots. While not planning the world’s eventual demise at the hands of our robotic overlords, he cracks the whip to make sure his underling(s) are working efficiently. He also ensures that our accountants have a job. The youngster, Jesse is exciting and energetic. He started programming at the tender age of 12. He has since honed skills and works on various personal and professional projects developing software to mold our future. Though he is young his experience should not be underestimated. © Crimson Tech, LLC 2018-2019. All rights reserved.